Welcome to our latest creation. 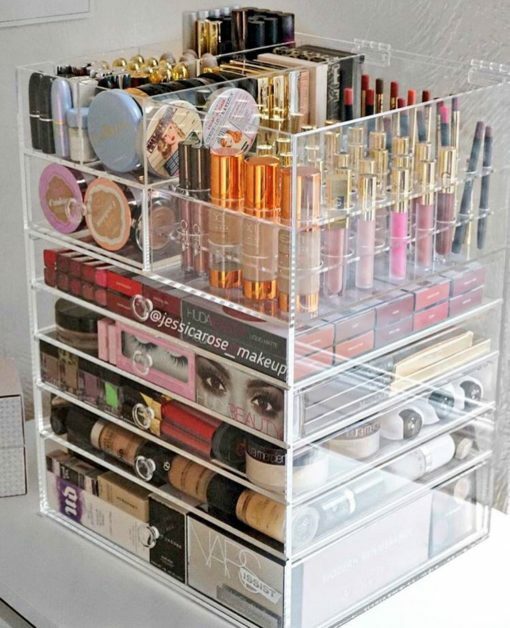 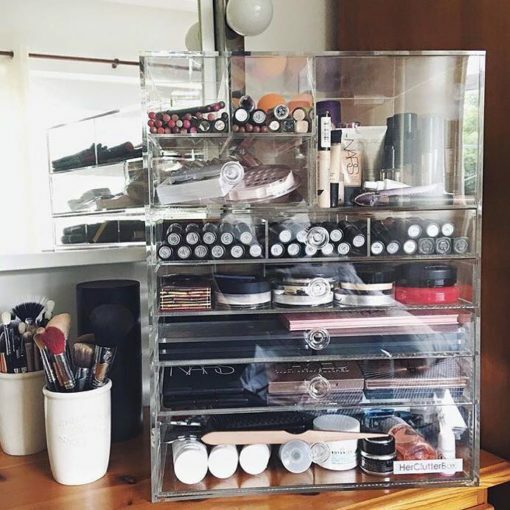 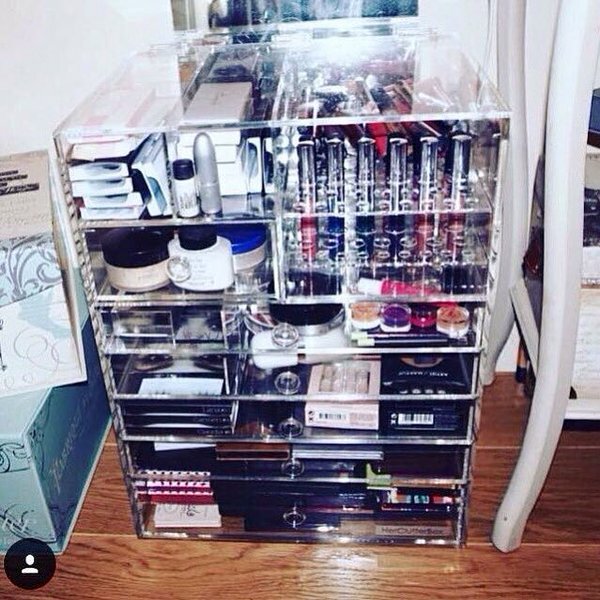 With 1 extra deep base drawer, 4 standard drawers AND a small drawer on the multi-use top level this really is the ultimate in handmade acrylic makeup organisation. If that wasn’t enough, we’ve only gone and included a makeup brush / lipstick holder which can also be removed, allowing you to use the compartment to hold taller, bulkier products. 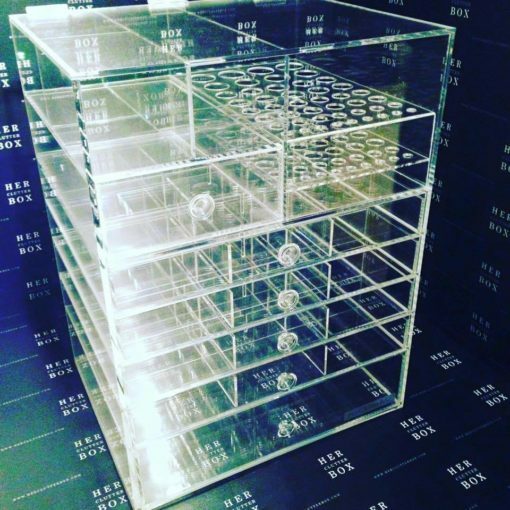 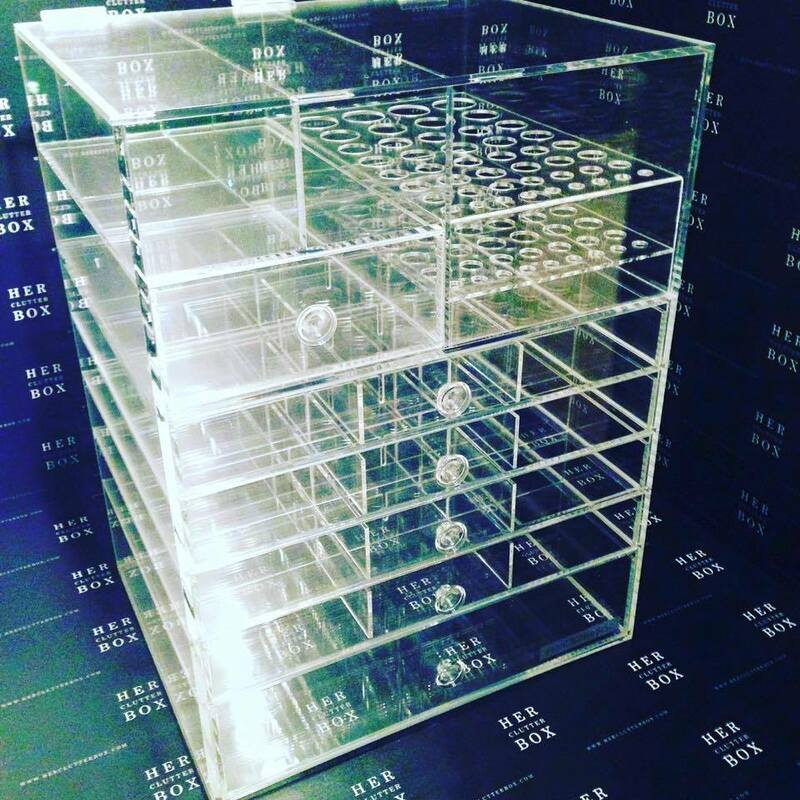 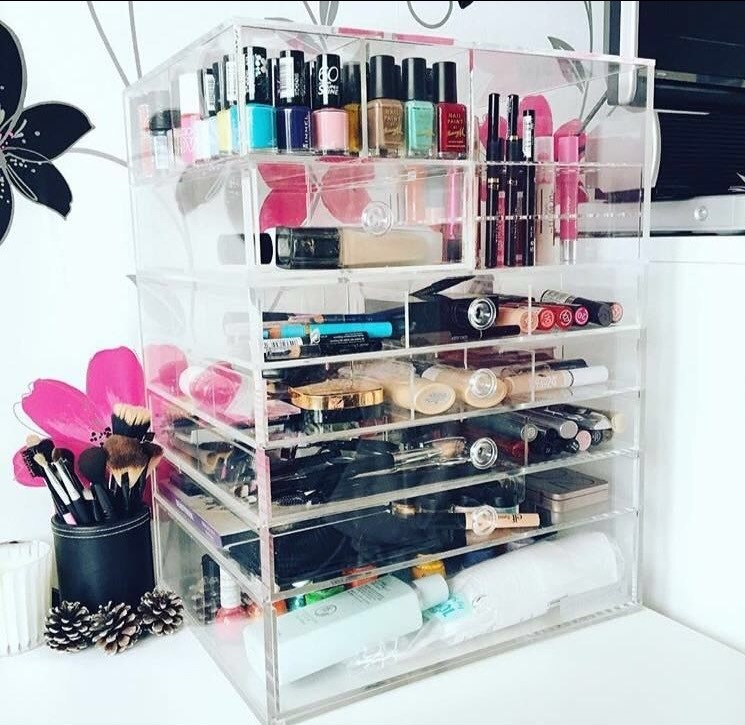 This ClutterBox also comes with not 3 but 4 sets of Grid Dividers, allowing the OCD in you to truly flourish! 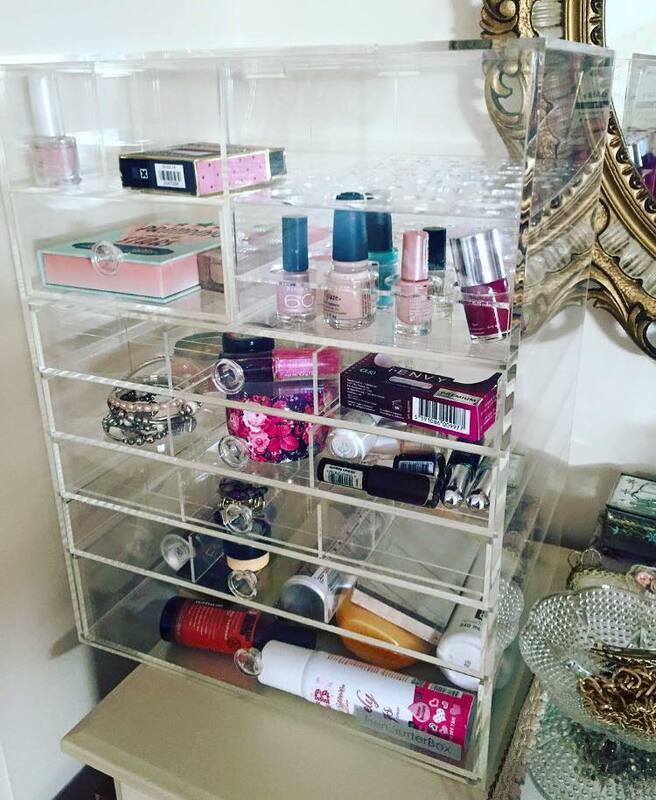 With elegant clear acrylic drawer knobs the e-z slide drawers smoothly glide in and out of the sturdy acrylic frame. 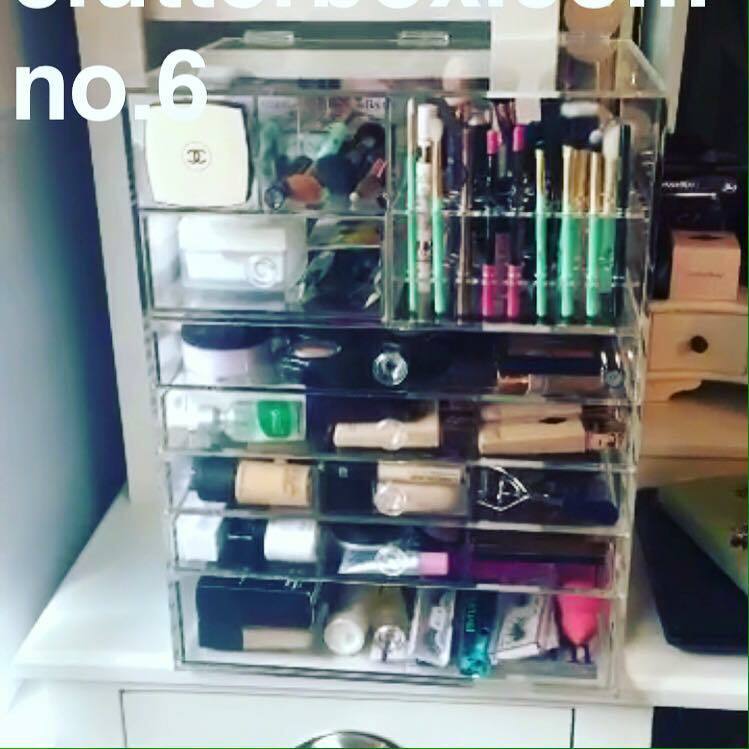 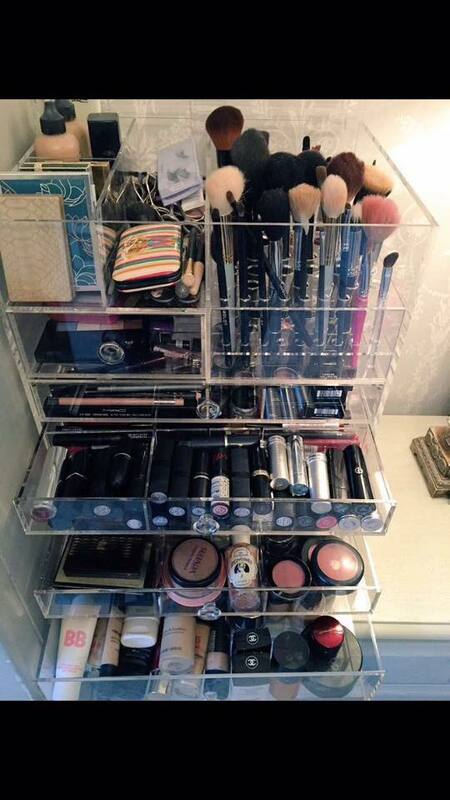 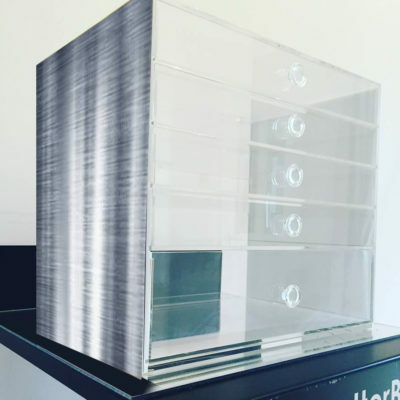 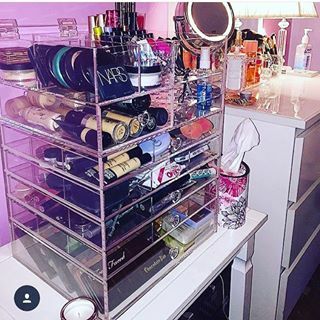 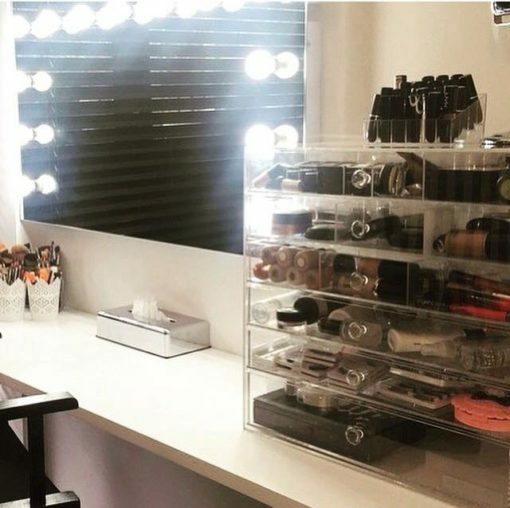 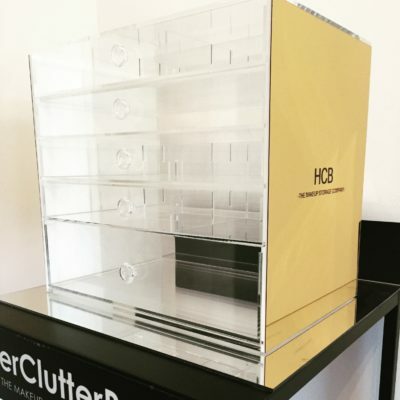 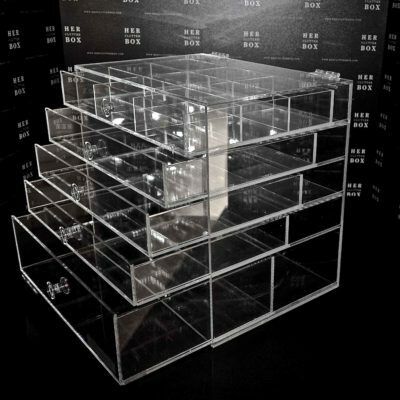 The Crystal Clear ClutterBox now comes with a handy lid which has been designed to sit flat against the back of the makeup organiser so you can use the top drawer as a shelf to keep all your taller products. 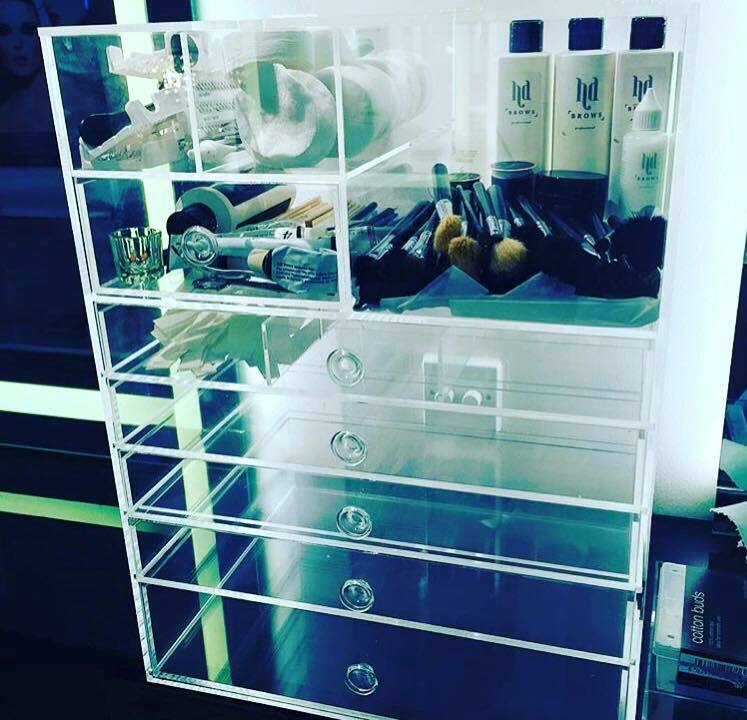 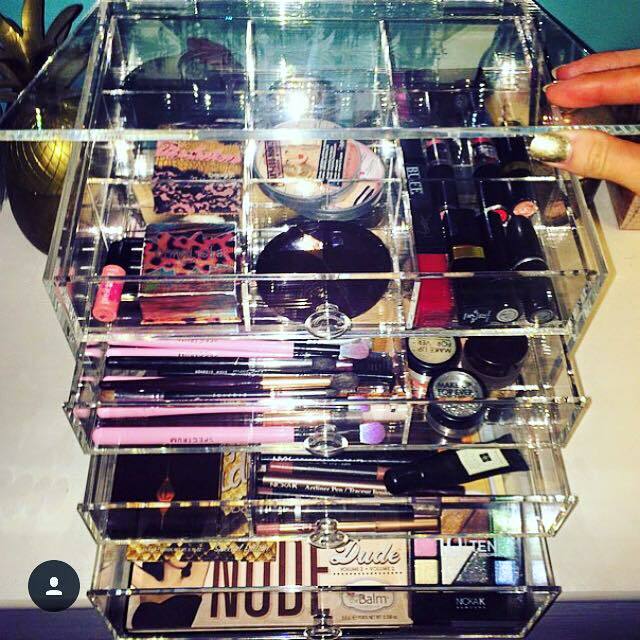 Our ClutterBox is the ultimate luxury makeup organiser, created for every makeup fanatic to store and keep safe all your beauty products. 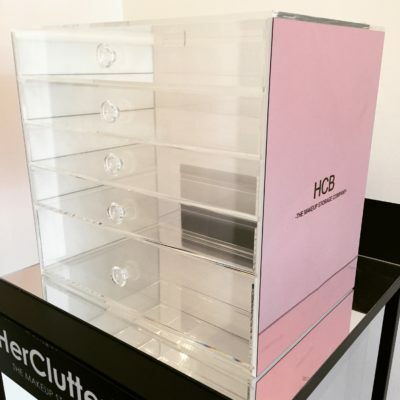 The Makeup Fairy – Recently I was contacted by HerClutterBox The Makeup Storage Company who design and manufacture a range of high quality make up organisers…It’s safe to say this company answered my first world product problem pronto… I’m a big fan of simplistic classy décor… I now have two in my collection and stack them to save space, to see what I store in mine be sure to check out my Instagram. I love how easy it is to find what I want know, saving me time and stress and greatly pleasing my organisational OCD.